Two things were going on at the Locus the night of May 2nd. 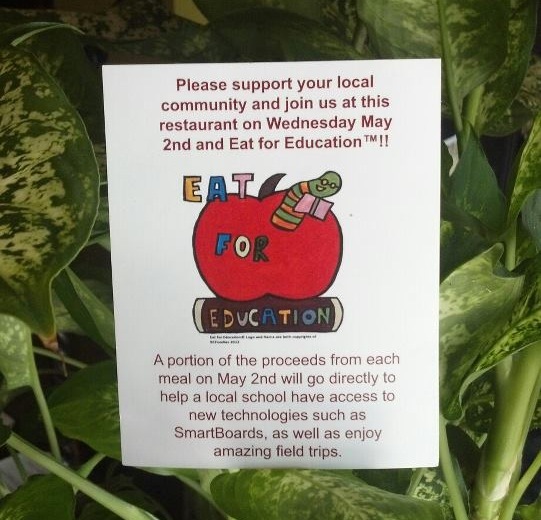 The annual Eat for Education event supports Main St. schools with supporting local restaurants donating a portion of their day’s receipts to the charity. See the Eat For Education official site here. Also on tonight was the monthly new art show, where at the beginning of every month a new local artist gets to show off their work on the walls. This month are artists Paul Curran and Orin Camus-Goldfarb’s paintings. Check it out below.